Welcome back to another Mascot Monday and the first official day of summer! Now that the expansion feeding frenzy is behind us, it’s time to start looking toward actual football. Guess what? College football returns in a little over two months! We are breaking the mascot post pattern and will reel off mascots we haven’t covered that are listed in Phil Steele’s Top 40 preseason rankings. Running down the list, we see our first one in the University of Central Florida. 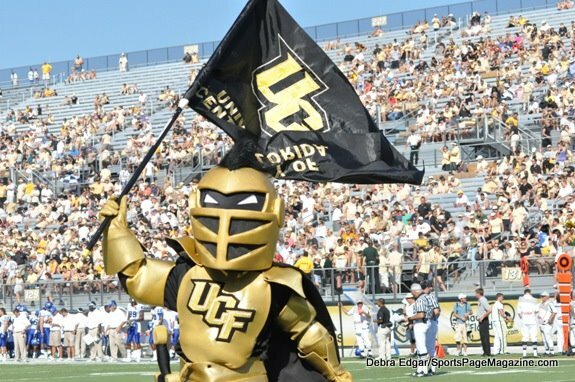 The #36 preseason ranked UCF Knights employ the auspiciously looking mascot by the name of Knightro. No, not the American Gladiators reject, but a giant knight.